UPDATE: HMD's Juho Sarvikas confirmed Android 8.0 Oreo is now rolling out to the Nokia 5 and Nokia 6. According to him, the deployment of the update will be phased, so not everyone will get it at the same time. 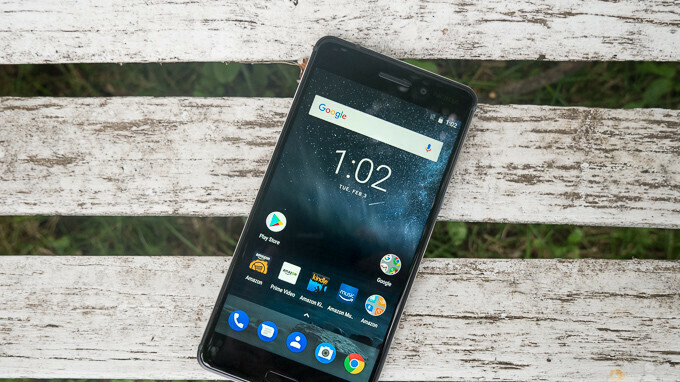 Nokia 6 is the newest smartphone launched by HMD to receive the highly-anticipated Android 8.0 Oreo update. The Finnish company kicked off an Android Oreo beta program for the Nokia 6 last year and promised to deliver the update very soon. Although the Oreo beta program was not available in China, it looks like the update is first pushed out in this particular country. If you own the Nokia 6 with model number TA-1000, then you are eligible for the update, otherwise, you'll have to wait until HMD starts rolling out Android Oreo in other countries. The update weighs in at nearly 1.6GB, so it's quite a sizable download. It's unclear which security patch the update includes, but it looks like HMD added a couple of its own changes besides those included in Android 8.0 Oreo. We'll update the news as soon as HMD starts pushing out Android Oreo for Nokia 6 in other regions, so stay tuned for more on the matter. Awesome news! This most likely means that the Oreo update for the other Nokia 6 models is imminent. Can’t wait until the update hits mine.